Center for Literary Publishing, 9781885635433, 80pp. "Not for the faint of heart, Scenters-Zapico guides us through dive bars and corpse-ridden gullies, along thirst-inducing border fences, and into bureaucratic hell. . . . The Verging Cities pulls no punches, yet it is also tender and intelligent." 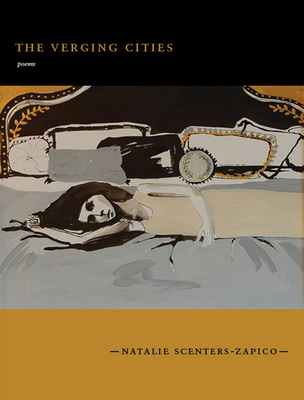 "[I]t is difficult to find a voice discerning and trustworthy enough to share its stories with the scope and passion [with which] Natalie Scenters-Zapico faces the subject in The Verging Cities. . . . The Verging Cities doesn’t rely on the sentimentalism of liberal immigrant narratives or commercials designed to garner donations; it doesn’t feel like a movie. Reading the book doesn’t make me feel better. It makes me weep with anger and frustration. It opens the wounds people try to ignore. It calls the ambulance."